I wanted to completely love this book but unfortunately it didn't do it for me. When I was younger I was fascinated by Peter Pan and neverland so when I heard about this book I couldn't wait to read it. However I must admit it just didn't click with me at all and I found myself struggling to pick it up again and finish it off. It is just so slow and I just found myself wanting more. Don't get me wrong there are some things that were really brilliant about it. The writing style is truly beautiful and the message it had about being the person you wanted to be and tolerance was really heartfelt. 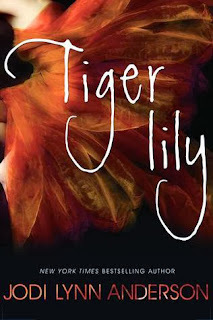 I loved the relationship between tiger lily and her adoptive father. I also really loved the relationship between tiger lily and peter once you got to that part. I also thought the ending was brilliant too. All in all not the book for me. Stories about Neverland and Peter Pan are fast paced and exciting in my head and unfortunately this wasn't and left me wanting more. I loved this but I can understand where you're coming from, because it was slower than I thought it would be, but I liked that - that we got introduced to the tribe and the island first. But yeah, to each their own!